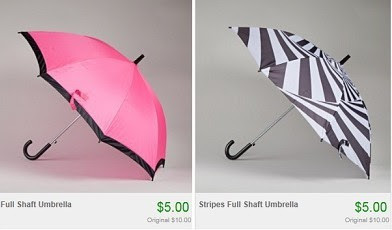 $5 Umbrella Sale + Possible Free Shipping! Totsy is having a big umbrella sale right now with all styles priced at just $5 each! Even better, you'll get free shipping if this is your first order within 30 days of creating your account.